Yesterday was F&B's first day of school, as we chose a different program (charter) for them this year, so they did not have to start on August 8th. As August 8th was also Ben's 8th birthday and we were on vacation at the time, we were extra happy they did not have to start school that day. 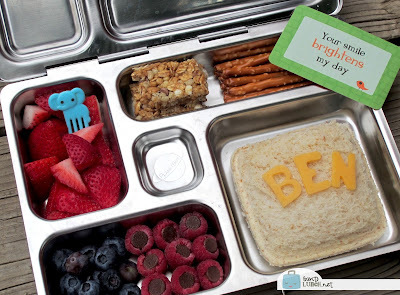 He took a ham salad pocket sandwich, made on honey wheat, and decorated with his name. I bought a Wonder Bread pocket sandwich maker at the Dollar Tree for $1 and I was quite happy with how it worked! He also chose pretzels and a granola bar, strawberries (with an elephant fork), blueberries, and raspberries with chocolate chips in them please. 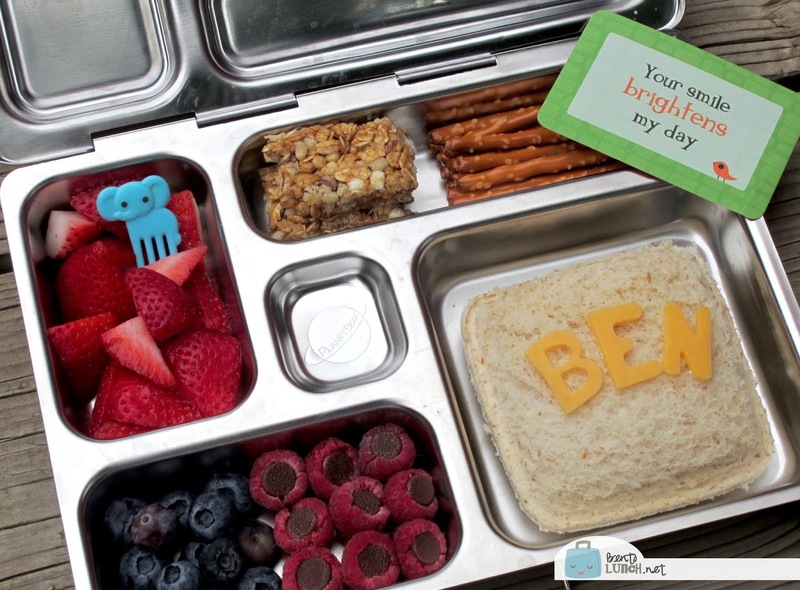 It's packed in our Planetbox Rover and includes a Lunchbox Love note, of course!